Pool Coping | America Pavers Contractors, Inc. Pool coping goes around the edge of the pool and provides the edge cap, known as the pool coping edge, or simply coping caps. Because of the wide variety of colors and materials, they are the perfect hardscape solution to put the finishing touch on pool decks. America Pavers Contractors will help you with the hardscape design, including a complete review of pool coping ideas. Our paver installer designer will show you the wide range of swimming pool coping materials and pool coping colors. Some of the more popular materials include natural pool coping stone, flagstone pool coping, flagstone pool coping, marble pool coping, and imported travertine pool coping. You may also want to look at other options offered by America Pavers: bullnose coping, fountain head coping, Seville coping, bluestone pool coping, flagstone pool coping and cantilever pool coping. 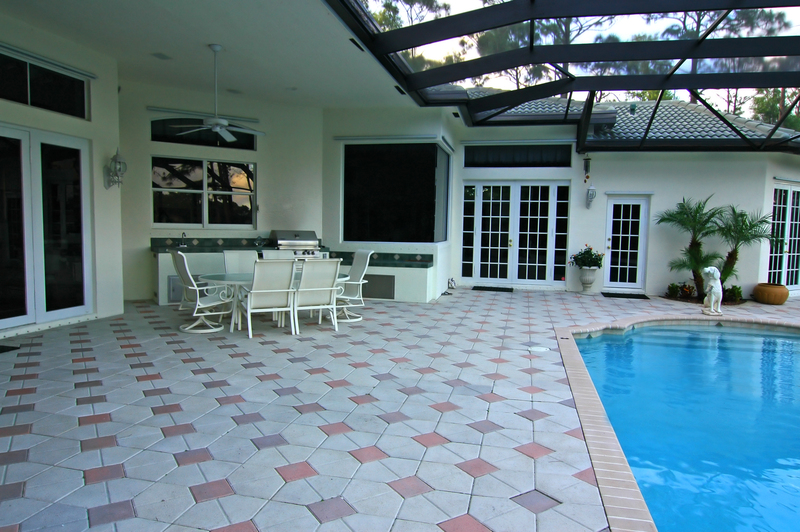 There is a great selection of pool coping tile for pool decks. You may want to consider the ceramic pool coping tiles or mosaic pool tile designs to add a distinctive look that us unique to your taste. 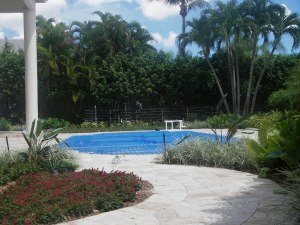 Some of our recent jobs of installing pool decks with pool copings throughout south Florida are shown below. Please feel free to contact America Pavers Contractors with any questions or for a Free Estimate. America Pavers Contractors hardscaping paver installation of marble steps and marble pavers on pool deck resurfacing. 6 x 12 travertine tile, chiseled edge travertine tile, mixed color Ivory travertine tile with French pattern walnut travertine tile.